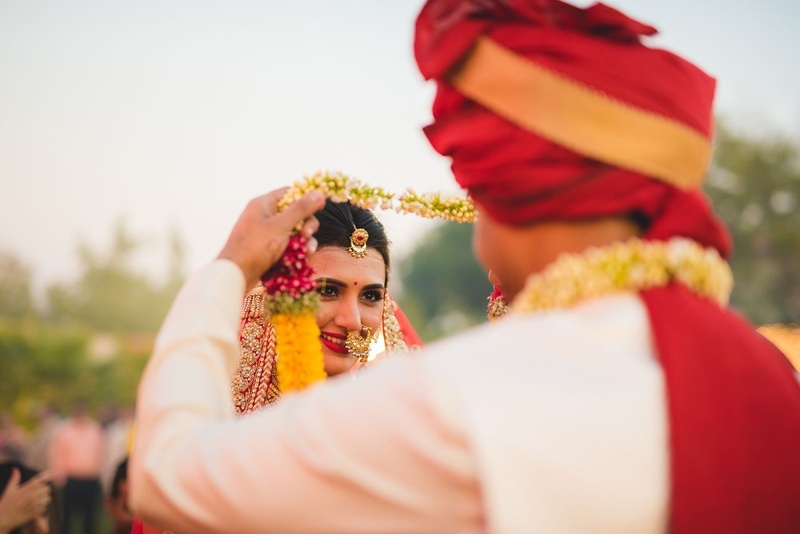 Who says arranged marriages are not fun? 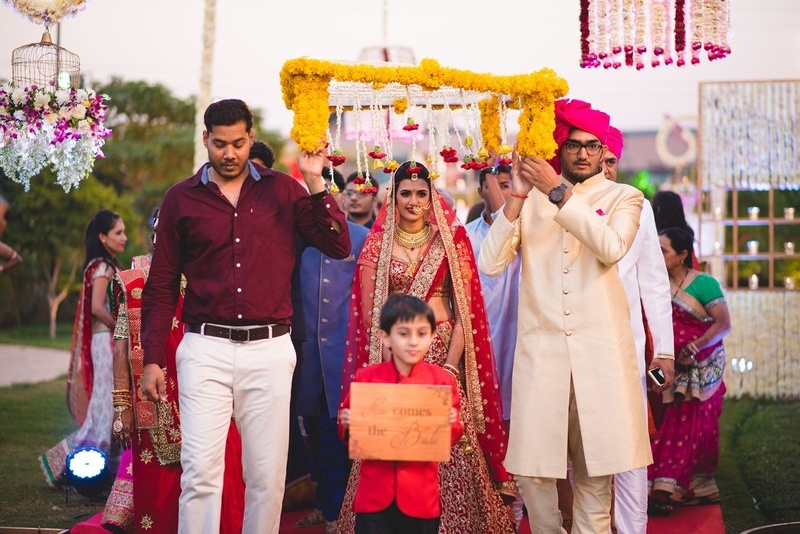 The story of this Gujrati chokro and Marwari chhori is a proof that our parents always want the best for us. 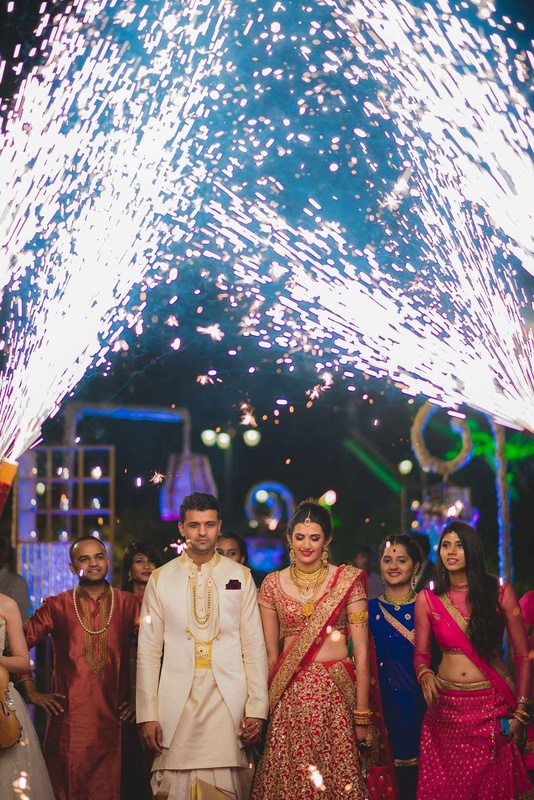 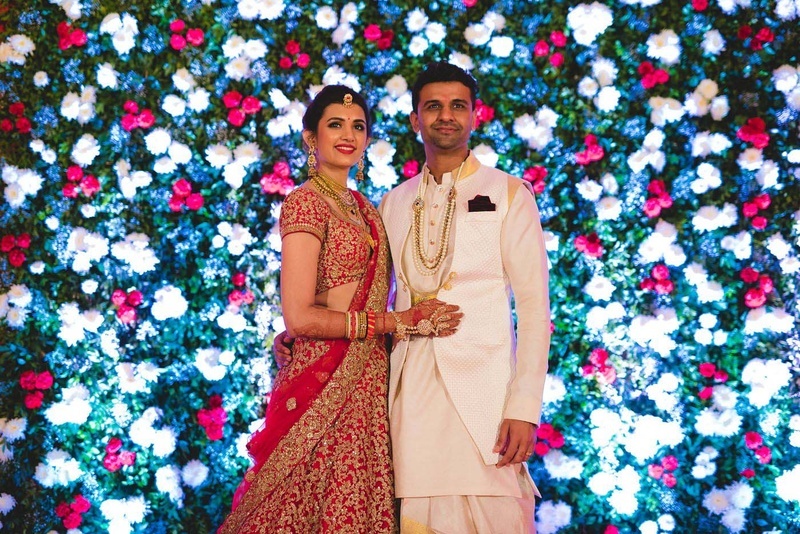 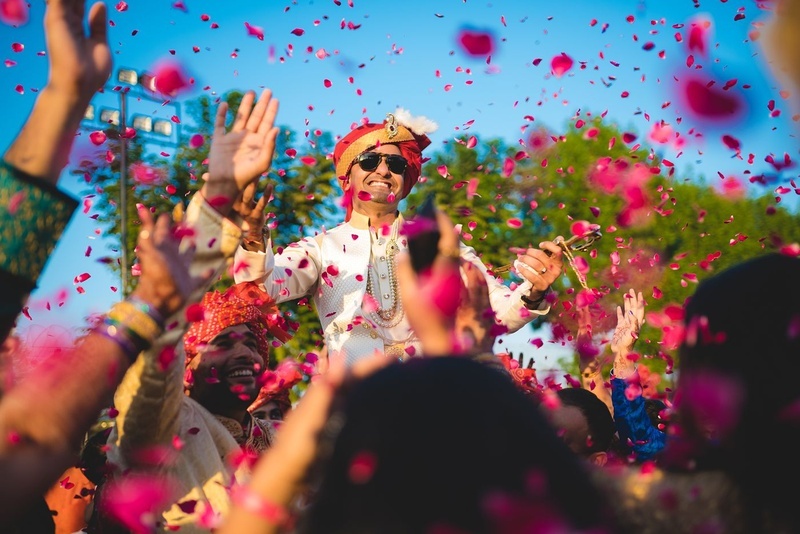 This one-of-a-kind wedding of Nitisha and Sagar took place at Suncity Club & Resorts. 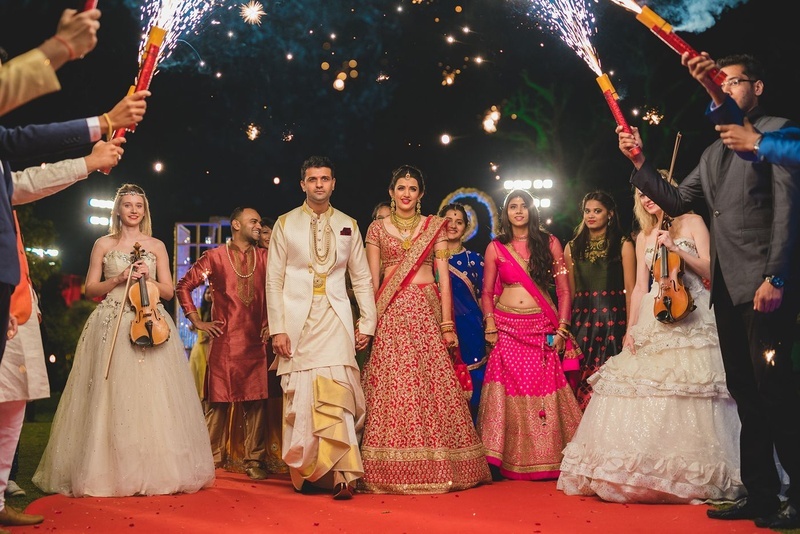 The guests witnessed a riot of functions from mehendi to sangeet, garba nights to American reception- they hosted it all! 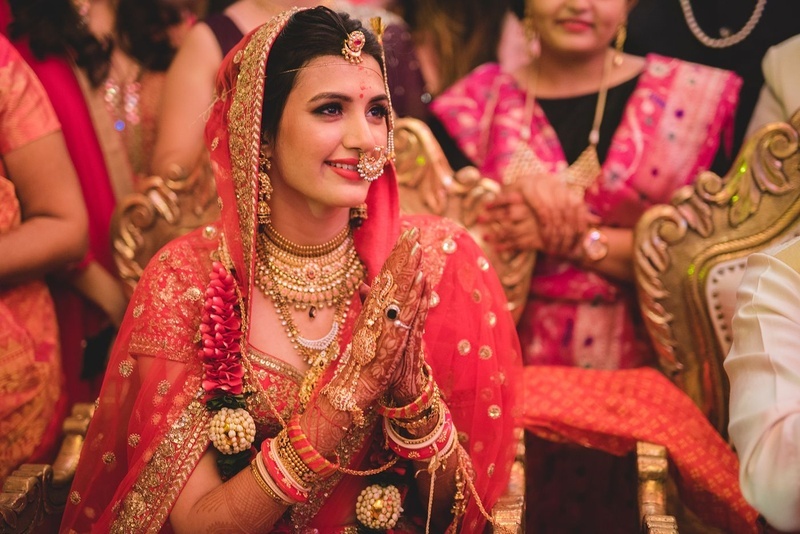 The bride looked sublime in every event. 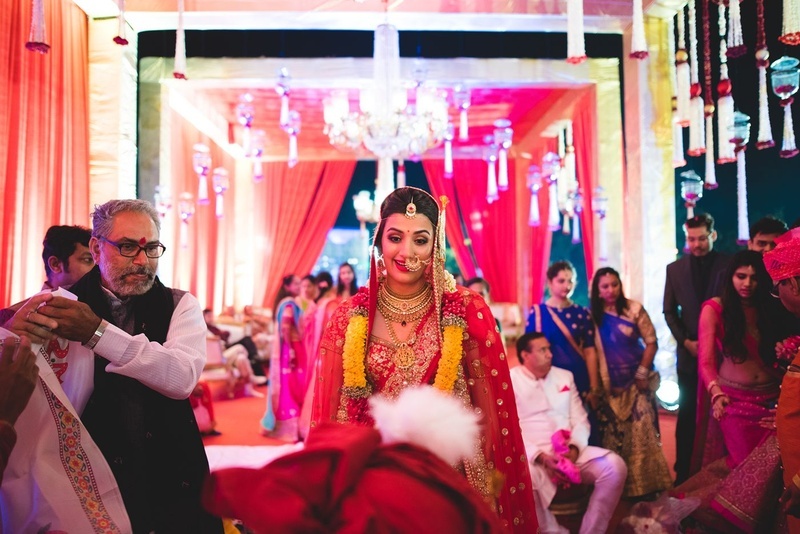 Sabyasachi for wedding was surely the element, adding to her beauty. 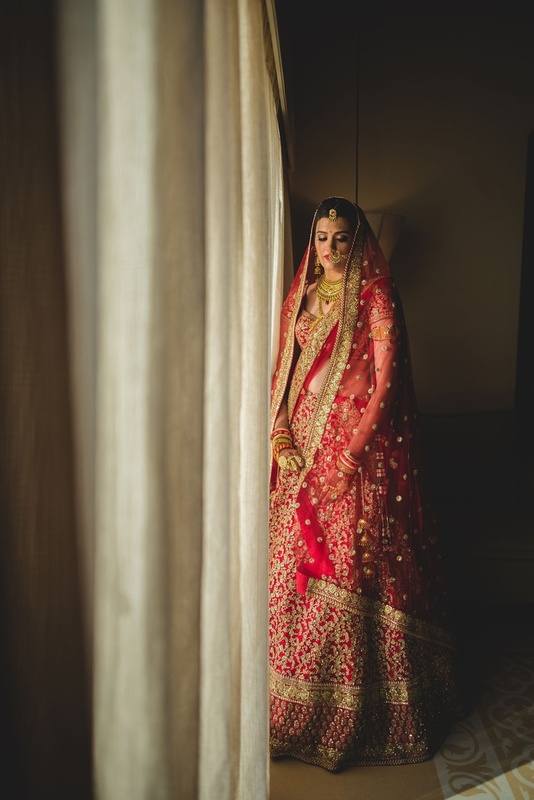 Stunning red and gold Sabyasachi lehenga for the wedding day. 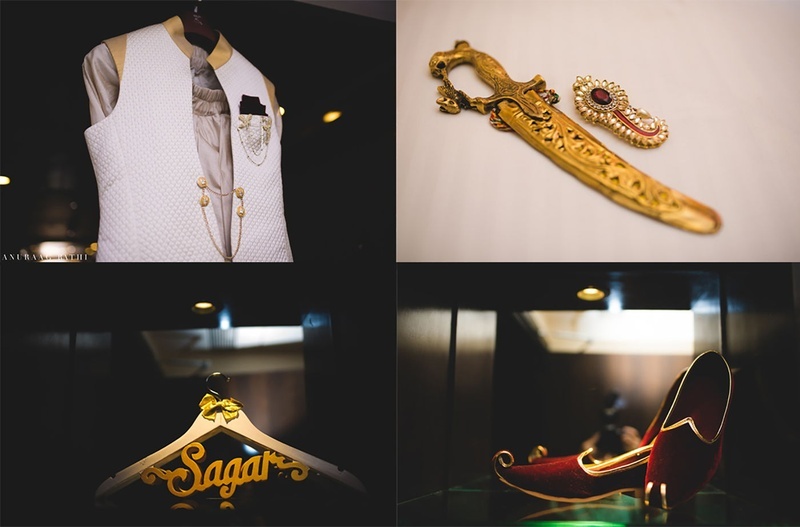 Groom's accessories for the wedding held in Baroda. 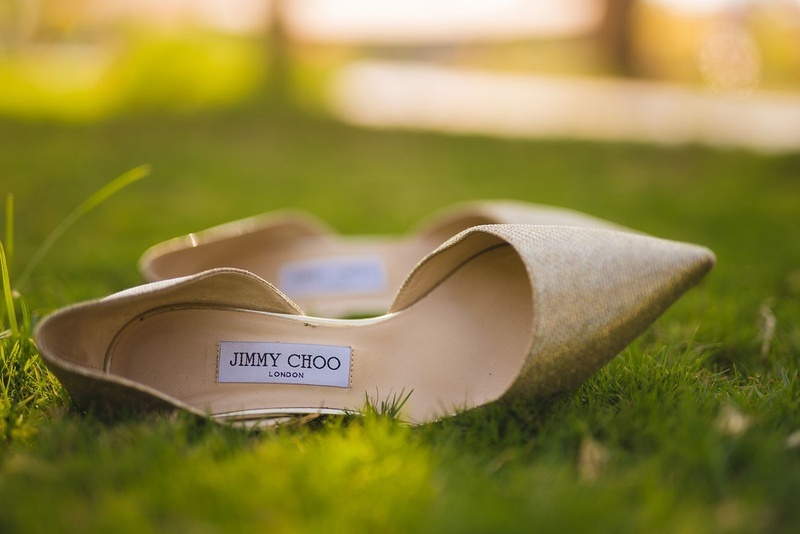 Jimmy Choo gold bridal heels. 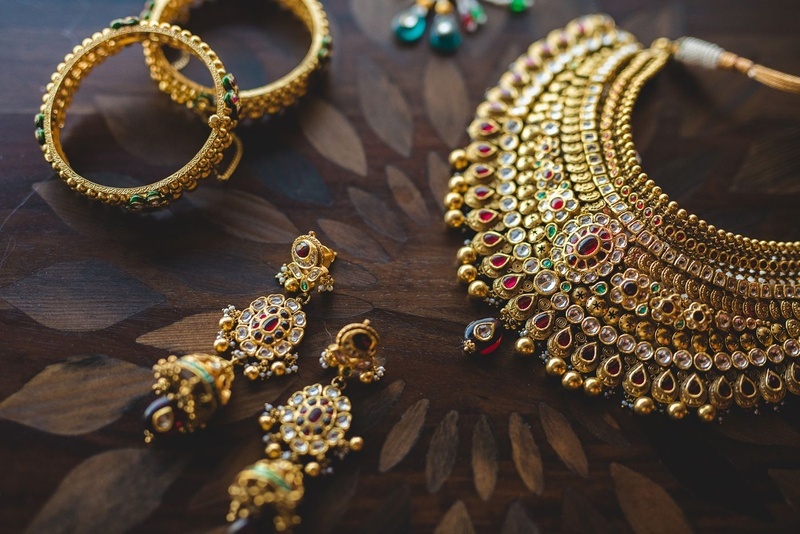 Gold and Kundan bridal jewellery photography by ace photographer Anuraag Rathi. 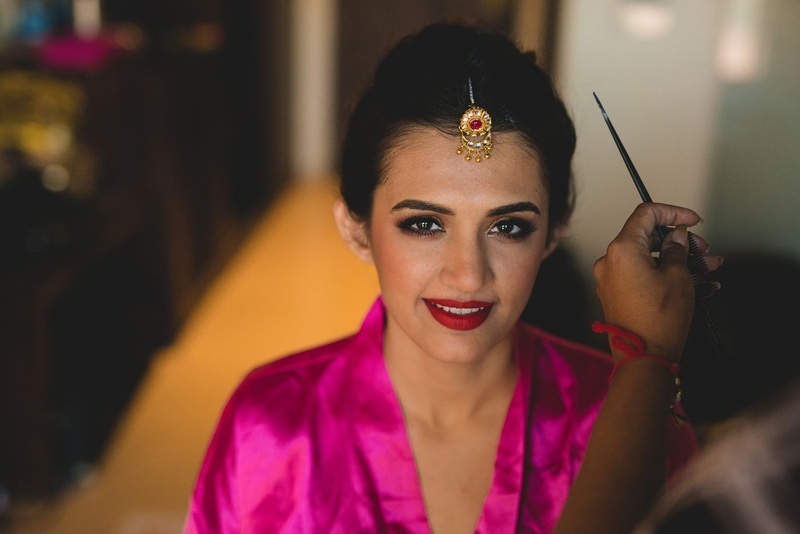 Bridal makeup by Sonic Sarwate for the wedding day. 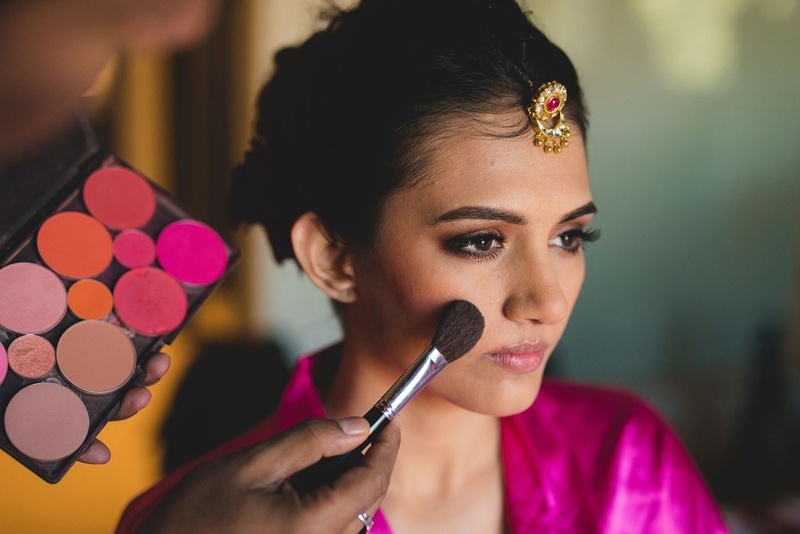 Bridal makeup by Sonic Sarwate. 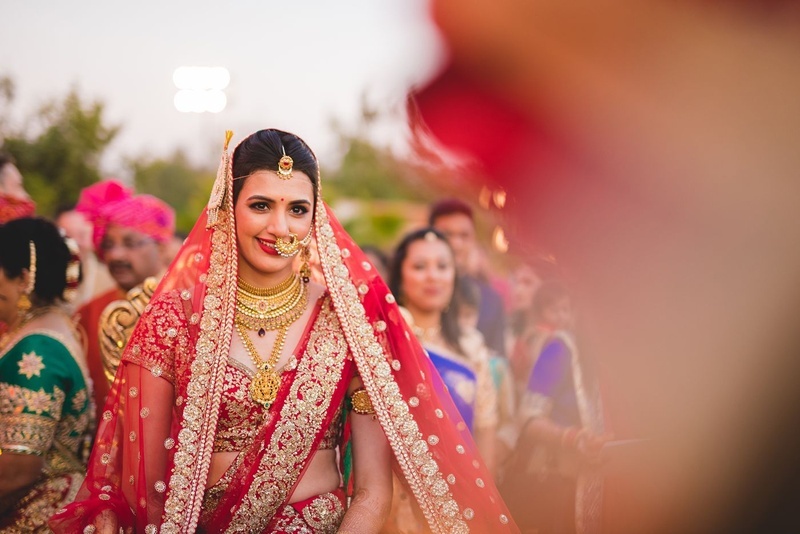 Adorned in regal red and gold Sabyasachi lehenga paired with stunning gold and kundan jewellery for the wedding day. 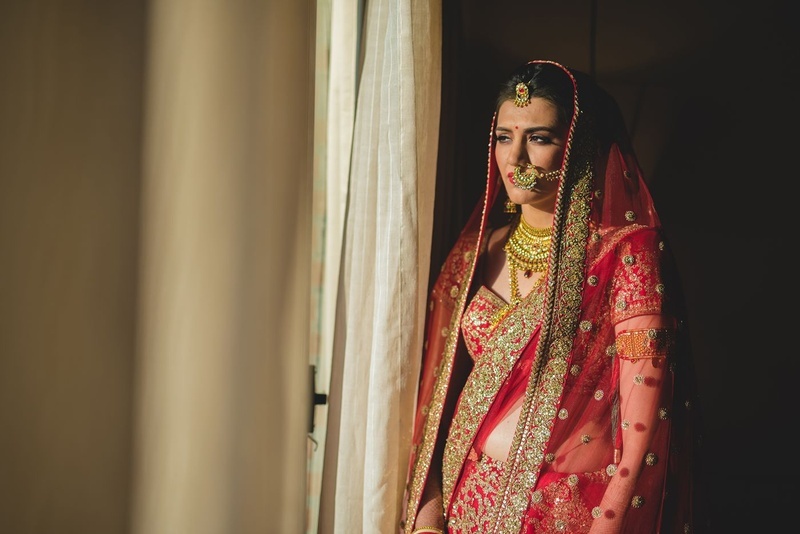 Bridal shot by Anuraag Rathi. 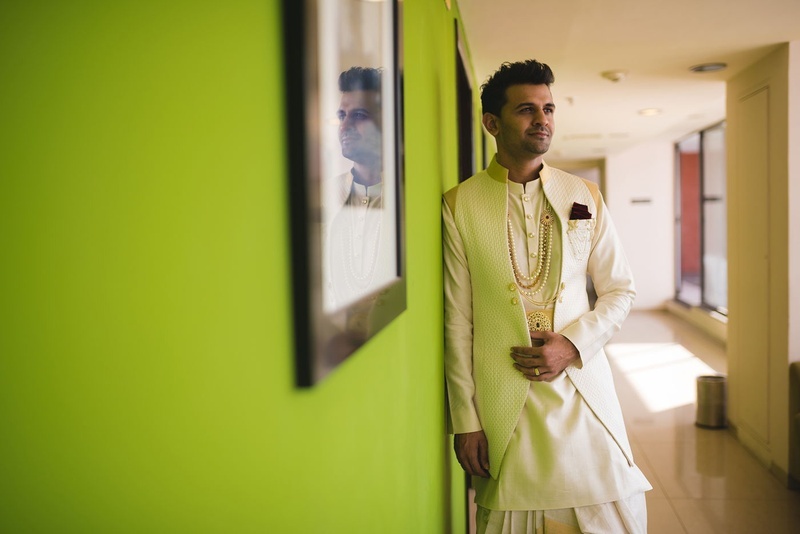 Sagar dressed up in an off white bandhgala kurta paired with white jacket and white dhoti. 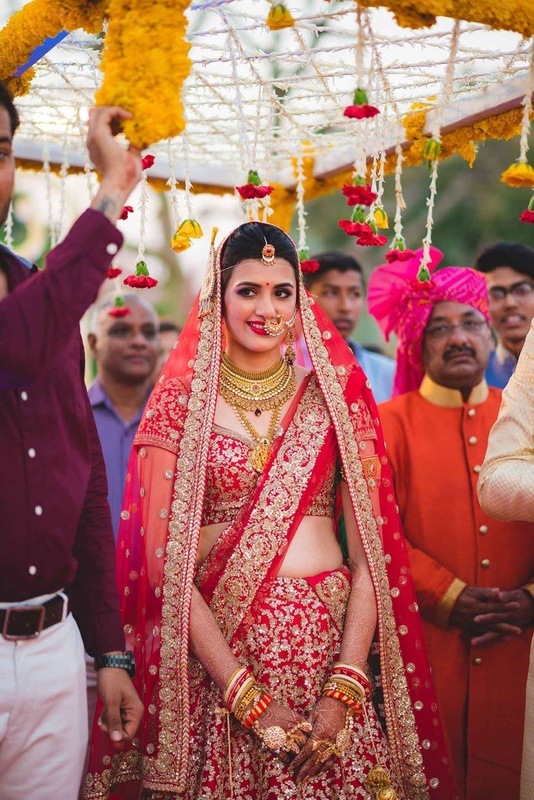 Styled with multi stringed pearl neck piece. 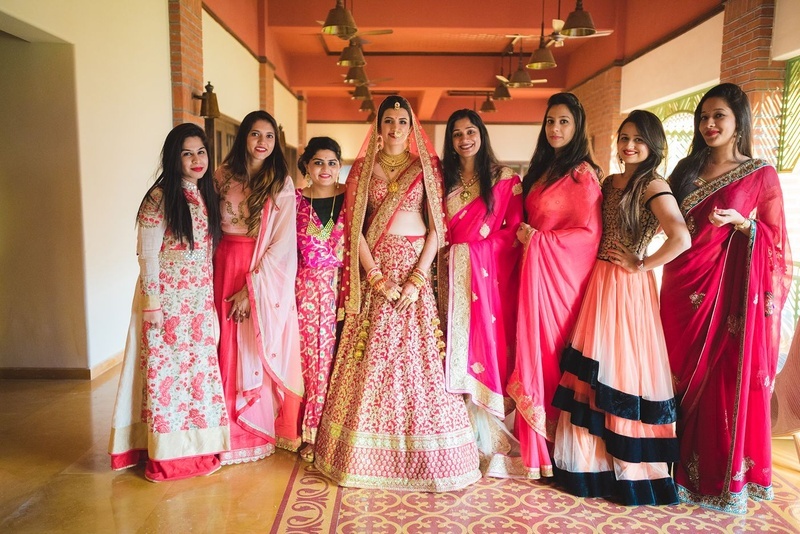 Bridesmaids dressed up in pink and peach outfits for the wedding day. 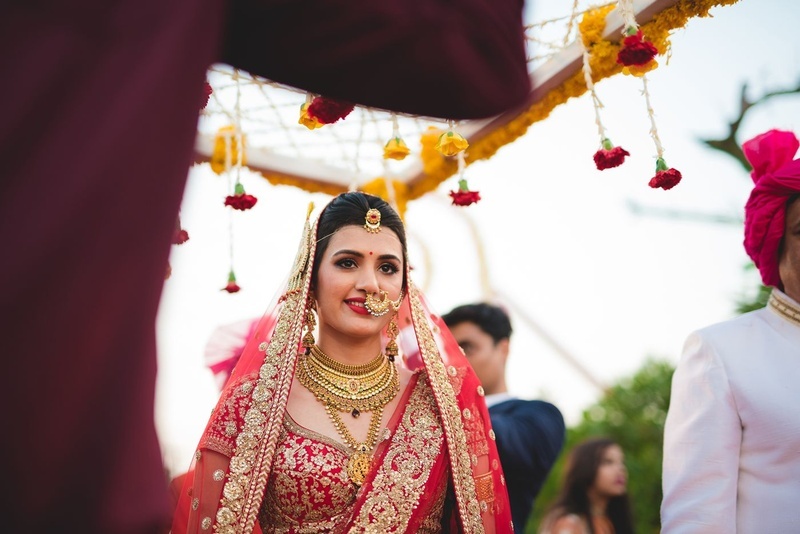 Bride Nitisha's entry for the wedding ceremony under phoolon ki chaadar. 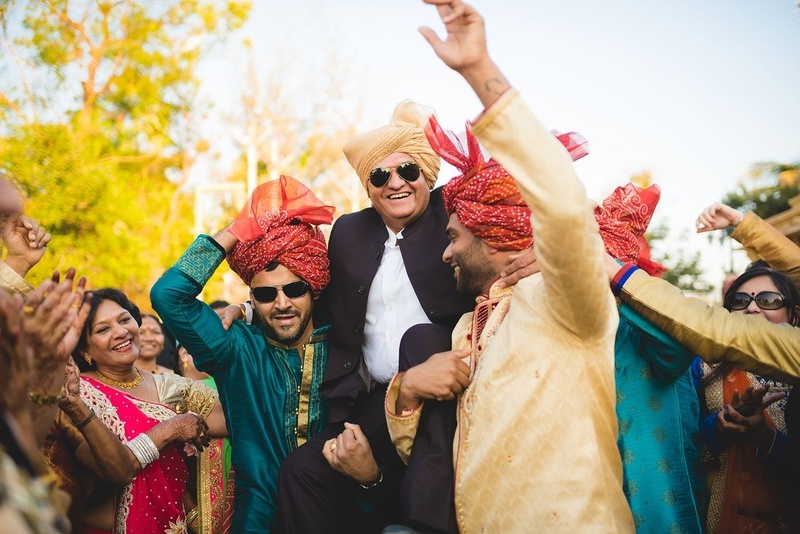 Baraatis having fun at the baraat. 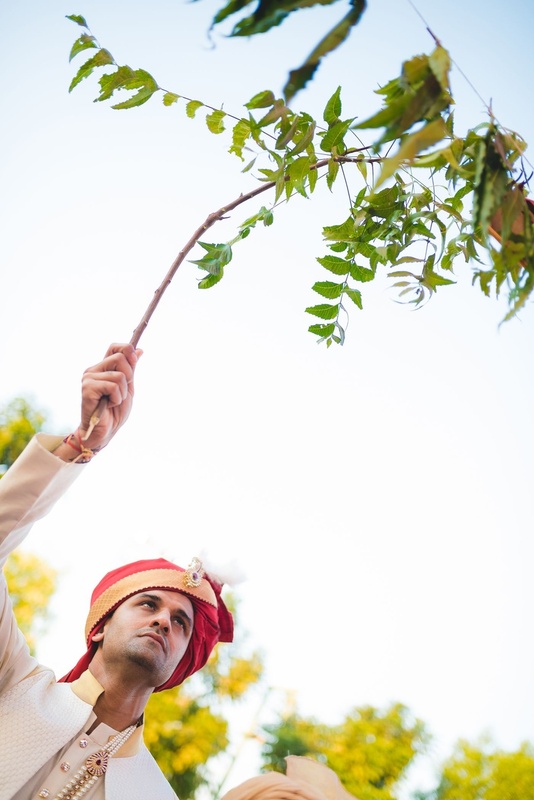 Groom Sagar, performing some rituals at the entrance of the wedding venue. 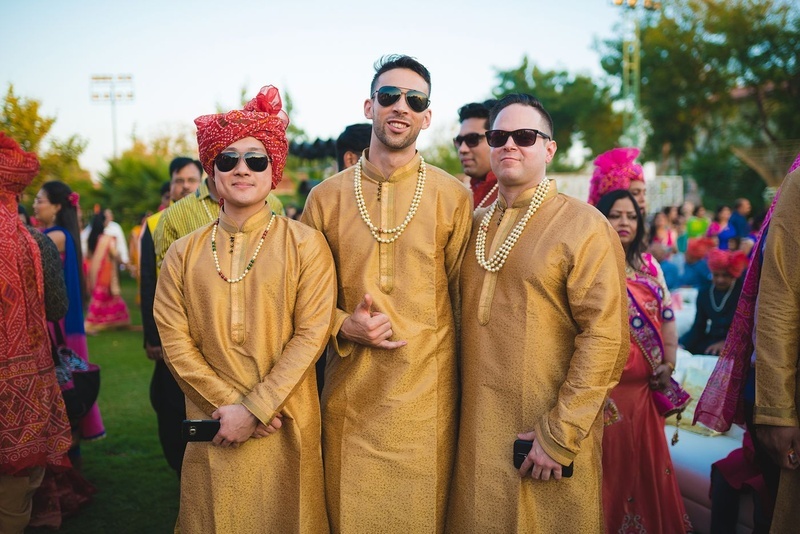 Groomsmen dressed up in coordinated brown color kurtas styled with multi stringed pearl neckpiece. 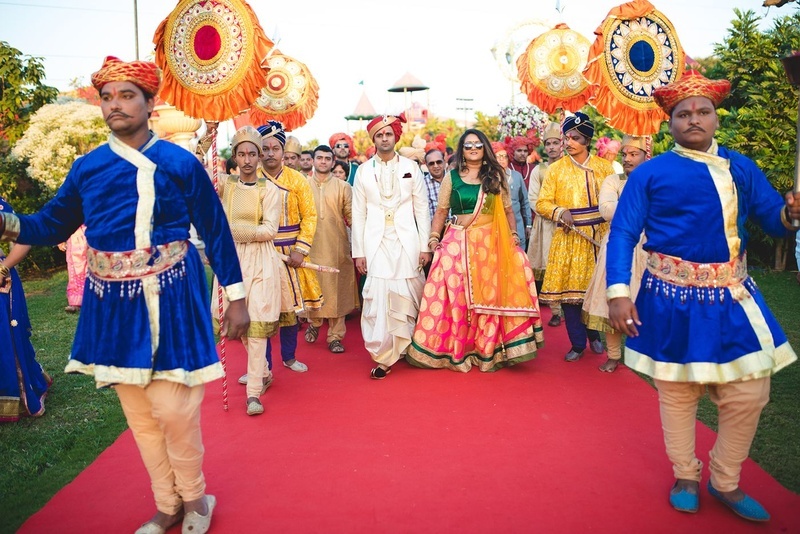 Colorful baraatis arriving at the venue. 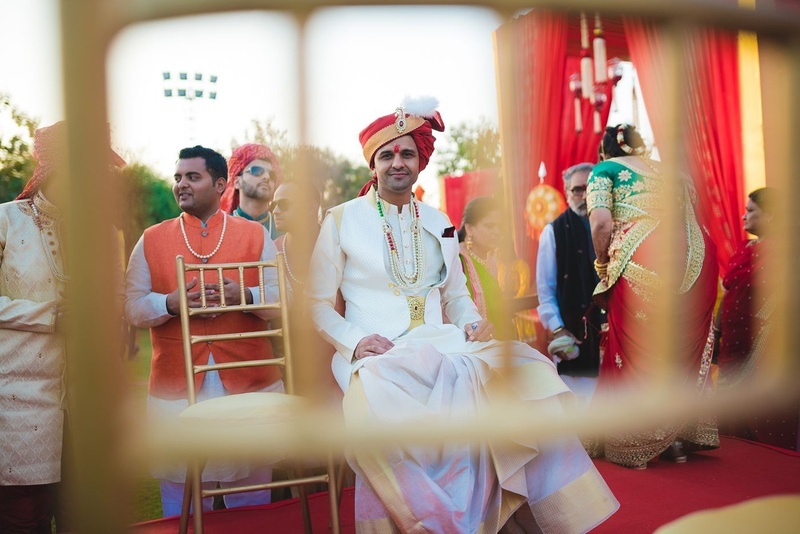 Waiting for his beautiful bride to be..
Grand varmala happening at the Suncity Club and Resorts, Baroda. 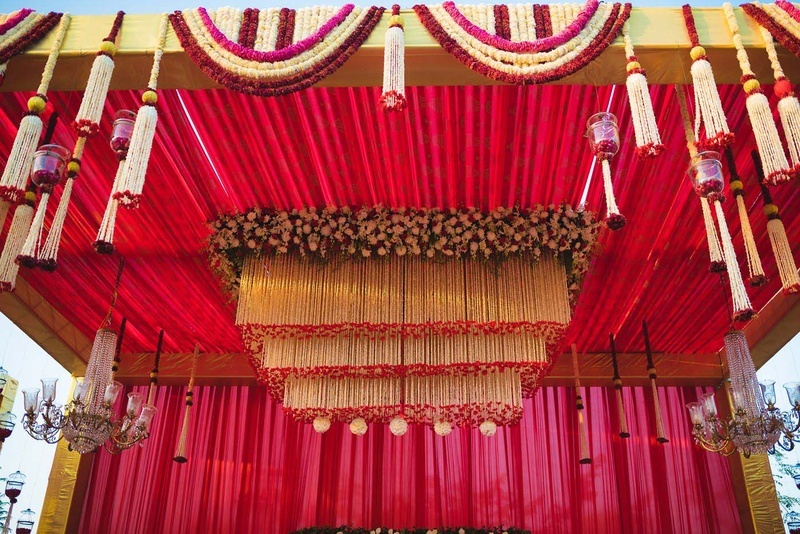 Mandap decorated with red drapes and white flowers. 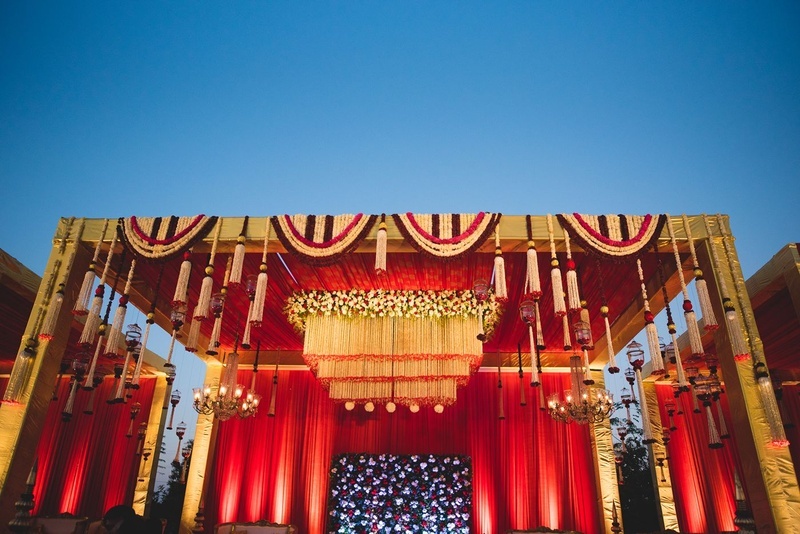 Stunning mandap decor for the wedding! 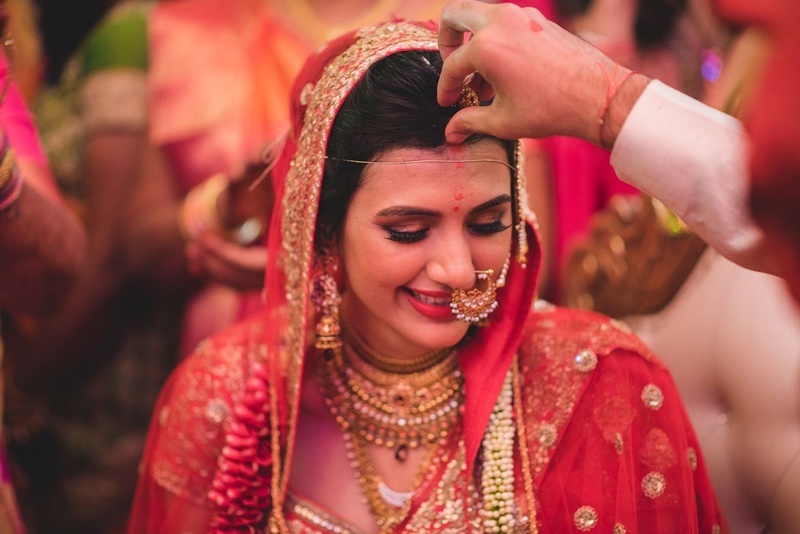 Smiling brides are the prettiest. 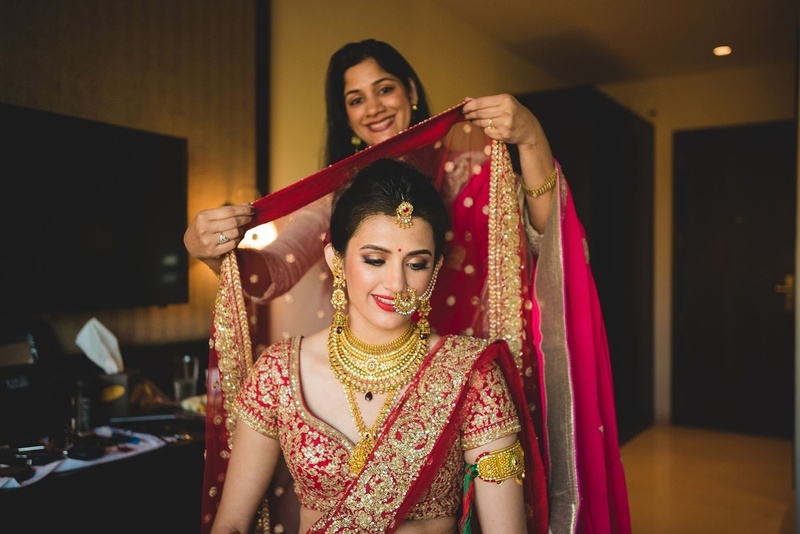 Adorned in stunning bridal jewellery. 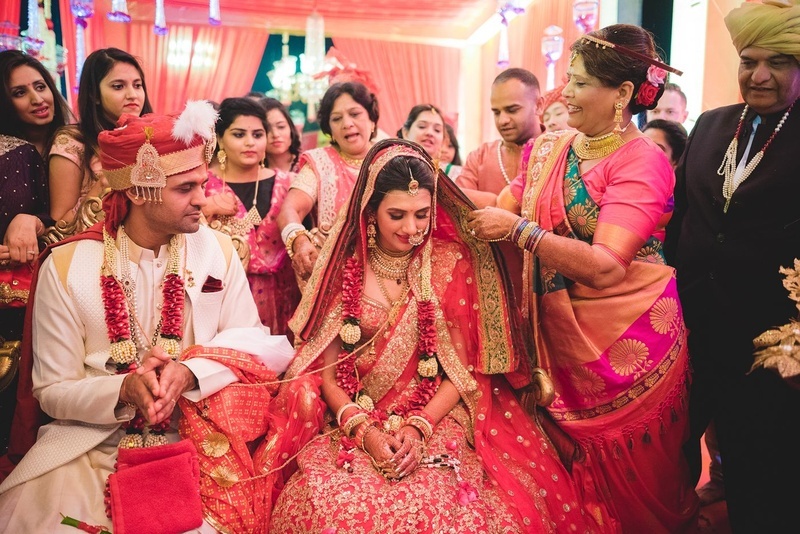 Emotional vidaai moment captured by ace photographer Annuraag Rathi. 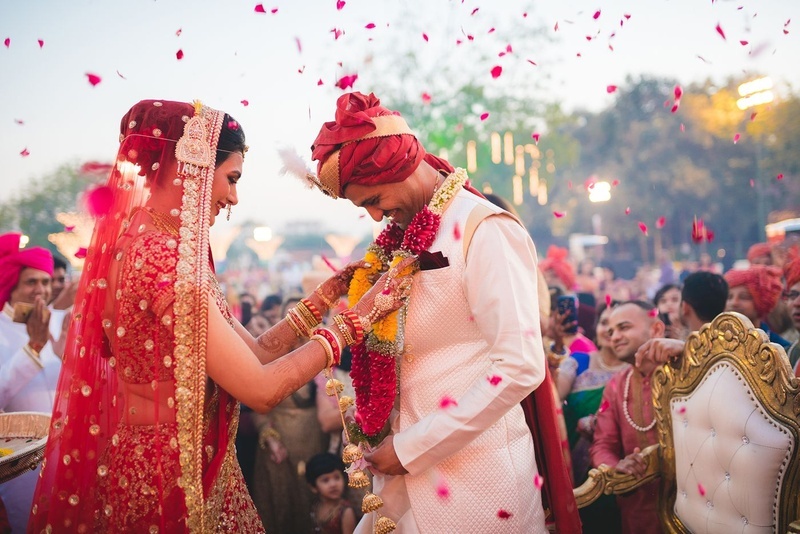 Adorned in pretty silver anklets for the wedding day.